We will help you plan your Office 365 journey, from migration right through to end user courses on how to use these systems. Bite-sized workshops giving your users what they need need to know, with friendly help-desk support. Our consultants will come in and guide you into how to make the tools you have, do what they need to do for your business. Office 365 provides a variety of tools to enable a more efficient workplace that improves communication and productivity. All of these apps work in the cloud, meaning you can access them wherever you need to as long as you are connected to the internet. Apps range from everyday productivity apps such as Teams and Planner, to communication apps such as Yammer and Skype for Business. Not only this, but Office 365 also allows you to develop apps into streamlined systems that really transform the way you work. An example of this is Microsoft Flow – an app that allows you to build workflows and automate processes. 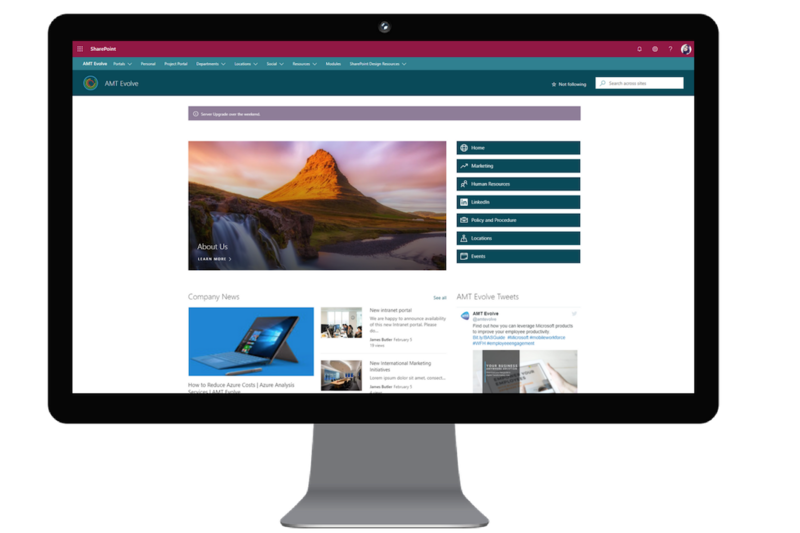 Another example is a SharePoint Intranet that pulls together everything you need to suit the way your business works. If you would like to find out more about the different Office 365 Plans available, click here. The first steps in using Office 365 are normally to migrate your email to Exchange Online, and then begin moving files from your shared drive to OneDrive and SharePoint. We can make this process painless and risk-free, using our experience and best in-class tools to manage the migration. We will also let you in on all there is to know from Office 365, the tools that are available and ready to use, and how to begin transforming the way your business works. Once your users are up and running, we become your friendly partner using the power of technology to build cutting-edge solutions that are the perfect fit for you. 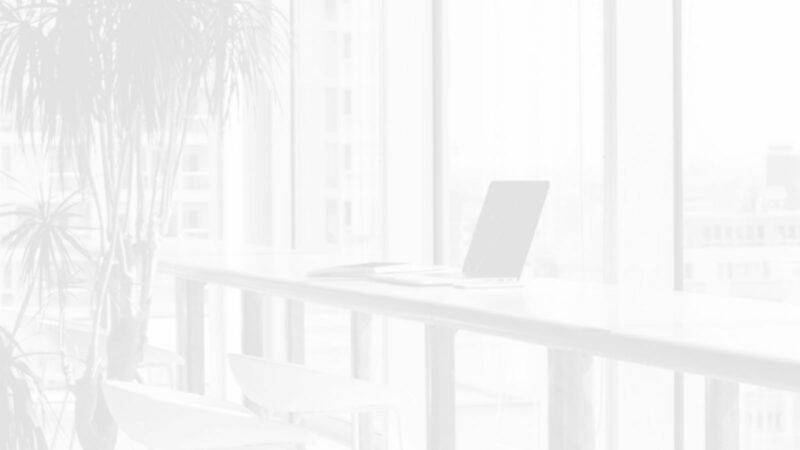 We work with companies across the board providing complete solutions for small, medium and enterprise organisations, including businesses, government and non-profit organisations. Our bite-size workshops will get your users up to speed with all Office 365 has to offer, suited to your business needs. Need something a bit more accessible? The AMT Training Academy gives you access to an online portal jam-packed with Office 365 knowledge. AMT Evolve works with companies throughout the UK – using our deep understanding of Office 365 to help organisations transform how they work. From start to finish, we will ‘hold your hand’ and guide you through your digital transformation. Whether you need a one-day bitesize workshop to help you fully understand what Office 365 can do for you, a roadmap planning session to help start your Office 365 journey, or maybe just a few training days to get your employees up to speed, we will work with you to ensure you get the best out of your Microsoft subscription. Have you already got Office 365, but feel like you’re wasting time and money on licences? Have a look at how we can turn your business around. 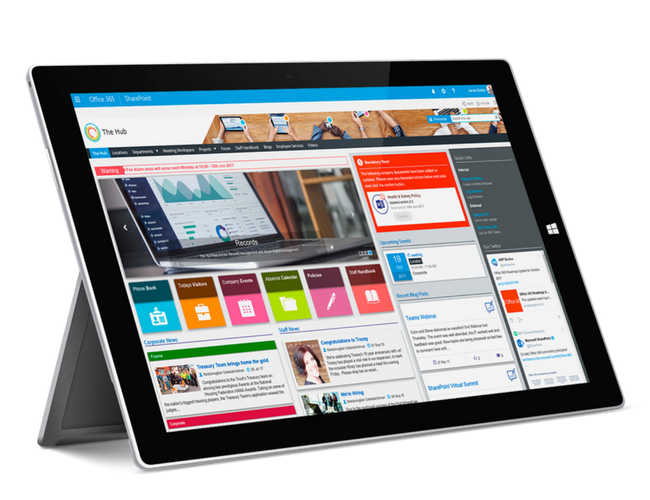 Get SharePoint up and running quickly with AMT Evolve’s pre-built Intranet. All of our experience in building top class SharePoint Systems packaged up in a single product.